Timber Harvesting’s March issue spotlights western New York’s quality-driven, community-minded Tom Trathen, who directs a multiple company hardwood business that reaches to Asia. Also featured is Virginia’s Marion Brothers Logging, where a stroke delimber and crew separation make a big difference for the business. 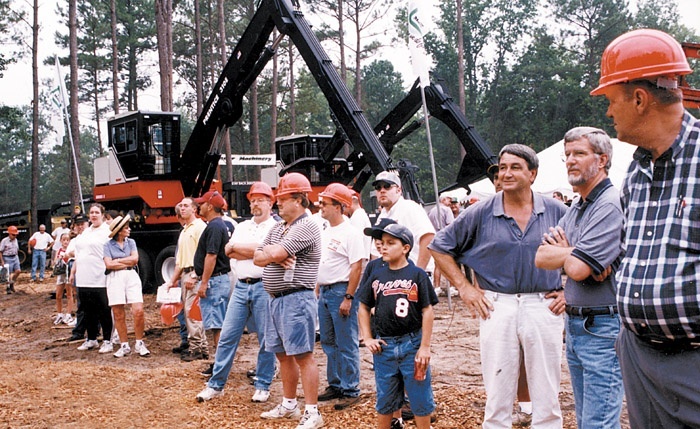 An article provides a growing list of companies that turn out a mix of biomass machines and tools. Mooney’s Corner highlights the importance of record keeping. Brothers Franklin and Kevin Marion run solid businesses with little fanfare. 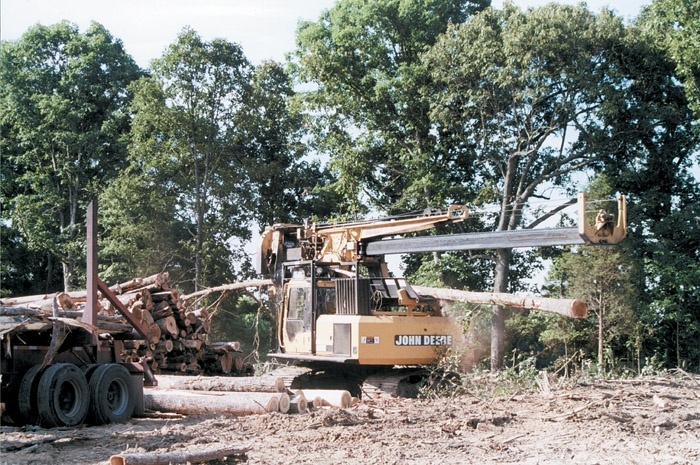 Marion Brothers Logging, Inc. deploys two conventional crews—one geared to hardwood tracts, the other to pine. C.F. Marion Trucking delivers the logging crews’ production as well as hauls by contract for other businesses. The brothers share management duties with their dad and former tobacco farmer Curtis Marion, who handles bookkeeping. You may recall that my first effort here was about logging costs and the problems with the rates paid loggers for their services. Significant price increases for logging services are nowhere to be had. I understand that a couple of companies may have coughed up a modest rate increase in recent months. 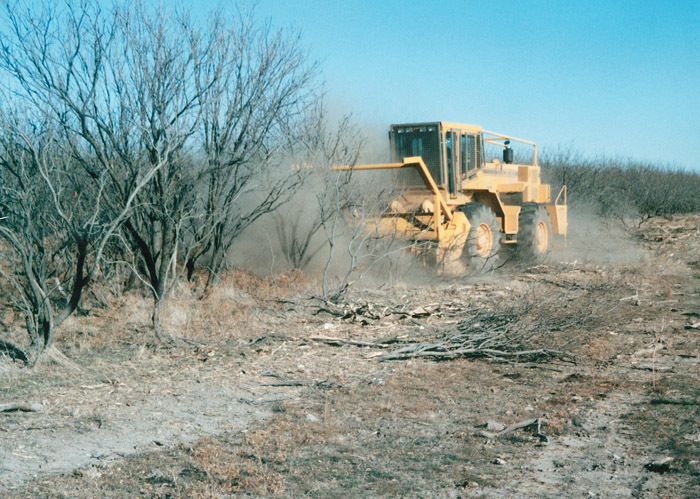 Federal and state forest agencies and industrial and private forest landowners are gradually turning to heavy-duty biomass reduction equipment to help control unwanted vegetation and/or to reduce fuel loads. Not finding forests to harvest, some loggers have invested in such equipment in an attempt to diversity their businesses or to adapt to the new order. International Paper Co. and Nexfor Inc. have both signed a letter of intent for Nexfor to purchase IP’s oriented strandboard (OSB) manufacturing facilities in Jefferson and Nacogdoches, Tex. and Cordele, Ga. The plants are part of IP’s Panels & Engineered Wood Div., based in Savannah, Ga. The three IP OSB plants employ 456. It has often been said that the world is run by those who show up. More than once in the last decade, we’ve seen the wisdom of that statement. Yet it seems we continue to make the same mistakes over and over. I guess that’s because getting involved is just another demand on our time and we all know time is the one commodity no scientist has been able to duplicate. Bandit offers the 3680 Beast recycler, now available as a self-propelled unit for off-highway and off-landing use. 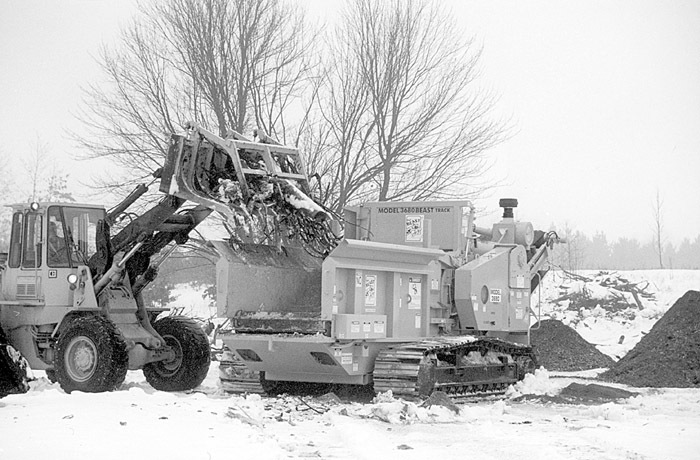 Recycler is ideal for land clearing and unwanted slash and cull material. Features include Cat 325 undercarriage with variable speed hydraulic drive, 11" track-type infeed conveyor and 12"x40" discharge conveyor. Unit is powered by Cummins 475 HP or John Deere or Caterpillar 500 HP diesel engine.